We bring you some of the inspiration for creating a great looking wardrobe designs for your bedroom. 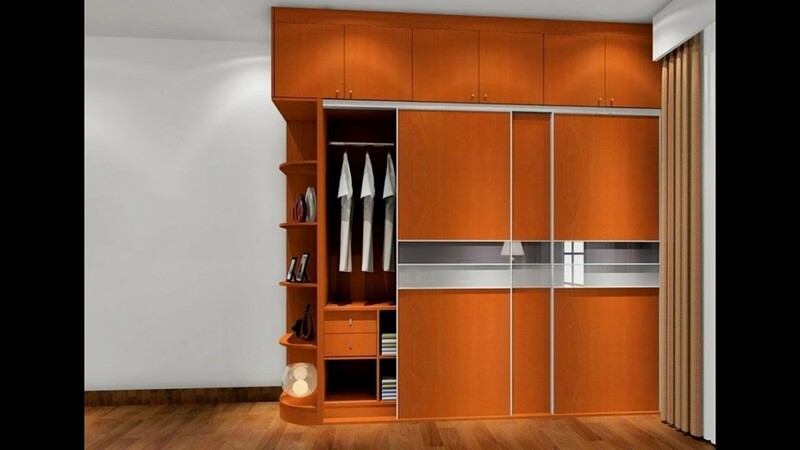 Wardrobe cabinets are essential for a bedroom to keep your clothing in wellorganized manner. Wardrobes comes with many different design with different use. Here we have listed some of the different types of wardrobes that suits best with your Interior design of bedroom. Wardrobes helps us to keep your belongings and your clothes at right place. Armoires are generally made up of wood, armoires are free standing wardrobes with a feel like vintage. Armoires are usually have built-in storage options like drawers, rods, dividers and shelves. An armoire or wardrobe can be a blessing for a bedroom that lack a spacious walk in closet. To store and organize the variety of clothing an armoires are designed. An armoires can also be repurposed for use in home offices, as TV cabinets and other storage solutions. You just need to do is get some shelves and hanging space fitted in the open wardrobe. These Sliding Door wardrobes are though old-fashioned but they are best in space saving as it doors don’t require any extra space to open. The wall mounted wardrobes are in trend now a days. The reason behind that is, wall mounted wardrobes are space spacing. As they uses less space as compare to the standing wardrobes because they are mounted in wall & give a luxury feel in your room. Wall mounted wardrobes can be huge as well as small too. Despite of old fashion, this is the basic wardrobe that can be found in every homes. They are easily transferred from one place to another& can have large storage space as well. The only drawback of free standing wardrobe is that it consumes lots of room space for easy operation of doors. Having two product combine is the most valuable thing. The biggest advantage of having Wardrobe with dressing table is, you can save lot of space in your room. No need to take your clothes & get ready at different place, with this Wardrobe you will be ready with in few minutes, it also saves lots of your time & give your bedroom a different extra ordinary look. In this wardrobe design the middle panel is static for T.V. In Middle panel you can have drawers at the bottom section or can have small storage space upwards & the remaining two side panels is used for big storage. A Wardrobe with mirror is probably the one of the best solutions for your Interior home decor. It not only serves as storage but also makes getting changed easier. The outfit can be changed with in a minute. By this wardrobe you can save space having your mirror on your wardrobe& also the time is also be saved when you have to go out.